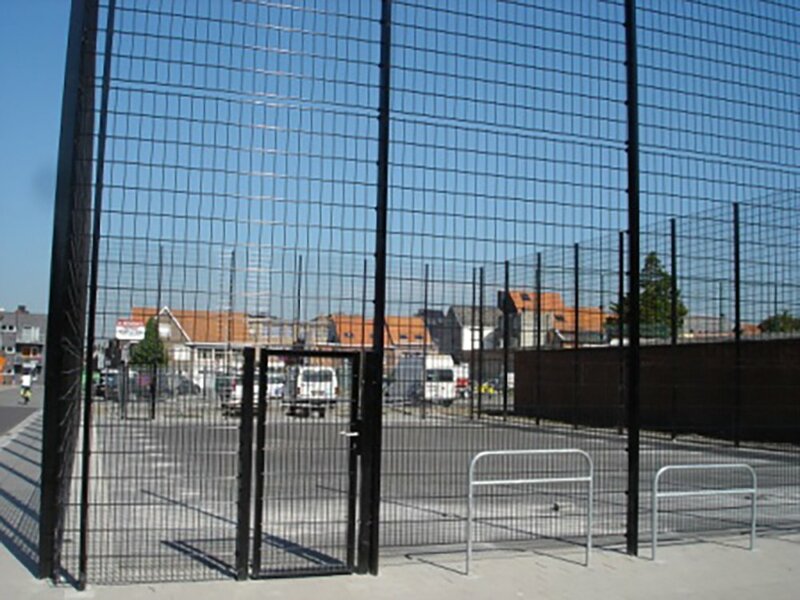 Bekasport is a brand of sports fencing with a unique ball-stop system. 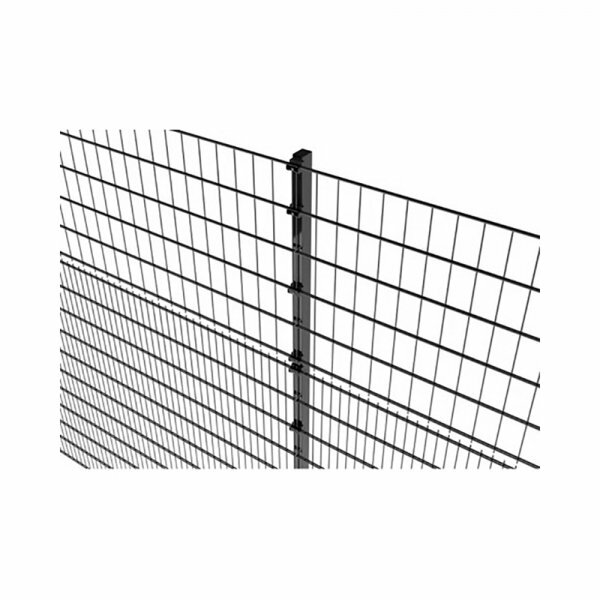 A combination of the Nylofor 2D Super fence panels with special posts with plastic sound damping clips. 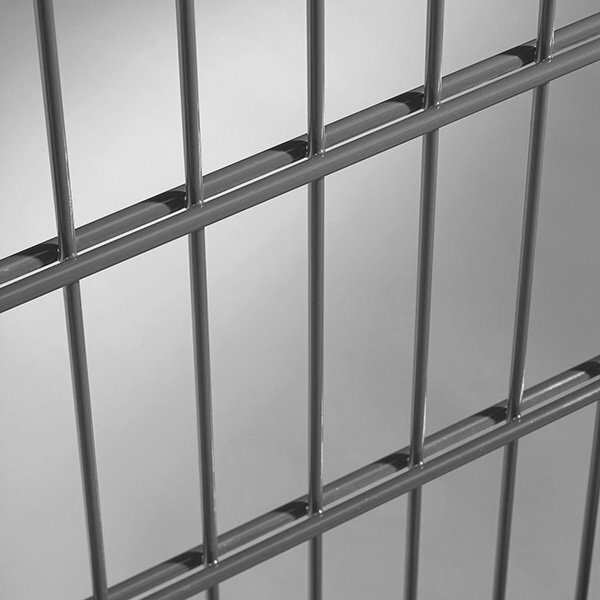 Mesh till 2 m height: 200 x 50 mm, from 2 m height: 200 x 100 mm. 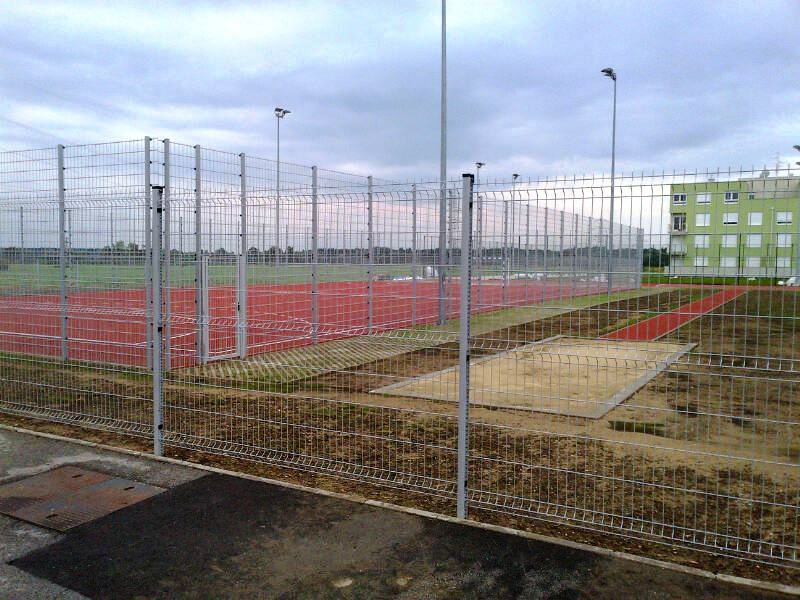 Designed with ball sports in mind, Bekasport fencing is strong, protective and built for all seasons. 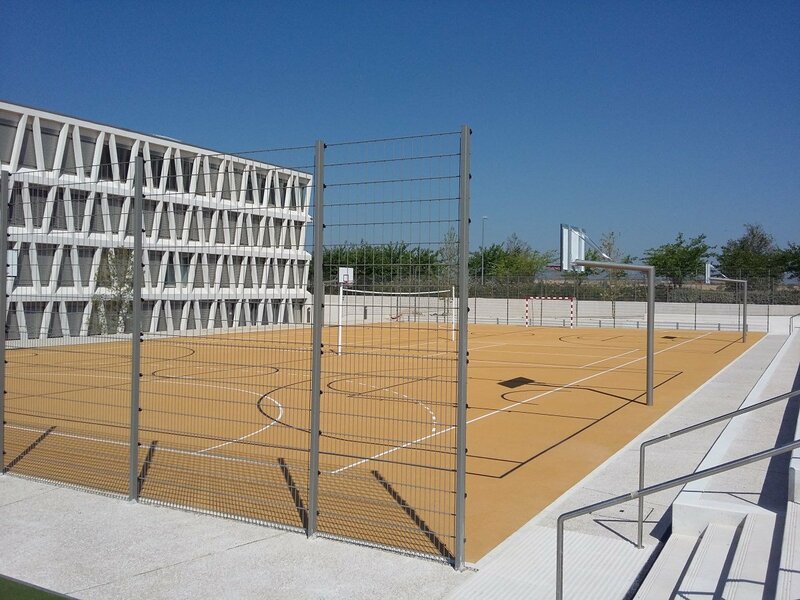 The Bekasport post system is available for ball-stop in heights up to 6 m.
The use of Nylofor 2D Super panels makes the whole system extremely rigid. 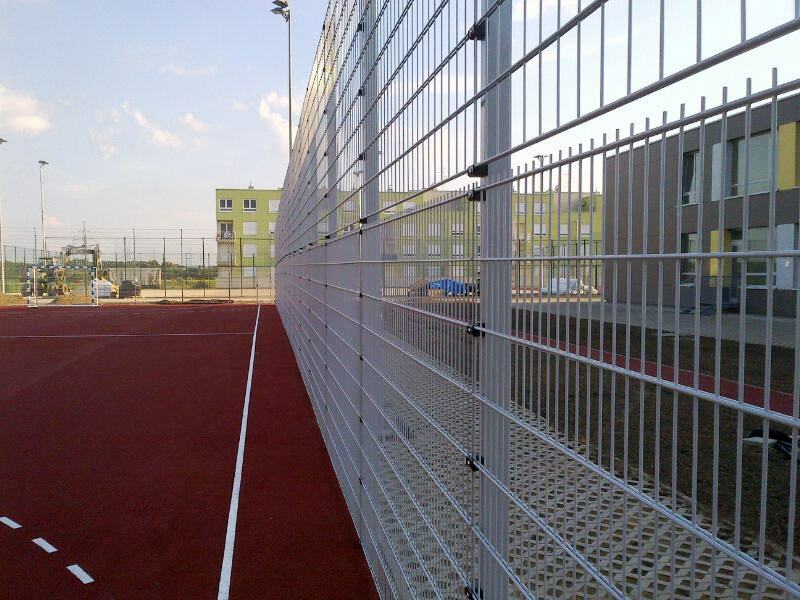 The available sound damping clips on Bekasport limit strongly the noise generated by impact on the fence. 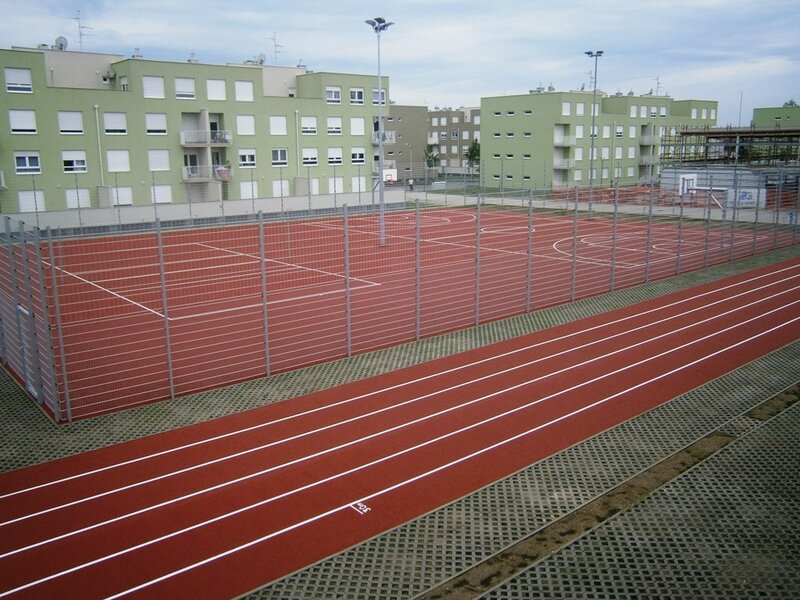 Sports arenas, stadiums, school playgrounds, community recreational sport spaces. The rectangular posts (standard green RAL 6005) are equipped with plastic sound damping clips. Thanks to a special insert in the posts these clips are located within the post. This means that the clip is an installation aid for hanging the panels. After hanging, the panel is fixed to the Bekasport post by means of adapted steel clips (standard green RAL 6005). Green RAL 6005. Other colours: on request.